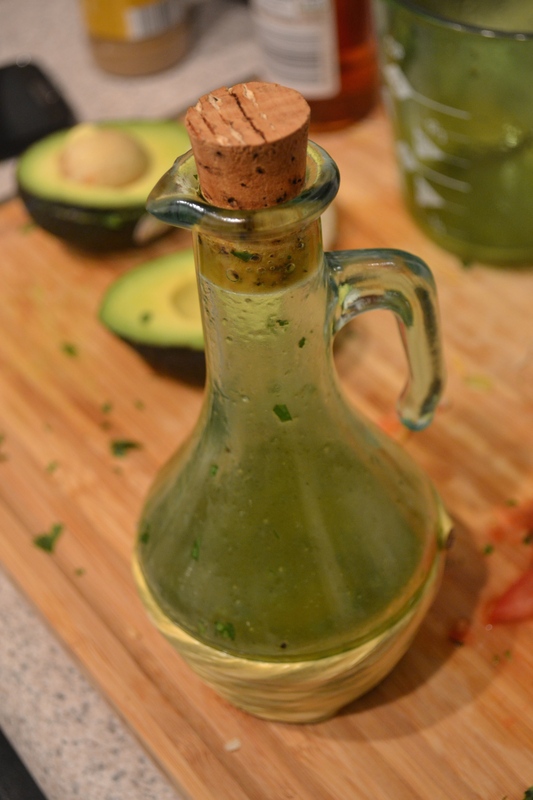 Sweet Cilantro Lime Vinaigrette | Pinch. Plate. Party. I love salads, but I’m not much of a bottled dressing fan. I’ve always heard people rave about their love of ranch, or caesar… but my go to salad dressing is a vinaigrette. My sweet cilantro lime vinaigrette is a sweet dressing with just enough citrus to add a distinct flavor. Try this vinaigrette with a salad made of romaine lettuce, sweet corn, avocados, tomatoes and fried corn tortilla strips. Add additional salt to taste if needed.